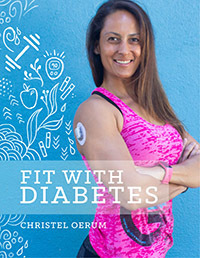 Collagen protein works incredibly well for people living with diabetes. It allows you to easily add protein to your diet without any blood sugar impact, and it improves digestion and joint health! If you have been reading Diabetes Strong or following me on social media for a while, you know that I don’t follow any branded diets. I believe in eating real, home-cooked food with an emphasis on lean proteins, low glycemic carbs, and healthy fats. Generally, I avoid processed foods and supplements! I do however include protein supplement in my diet. I’ve found that it can be difficult to get enough protein just through a healthy diet, and I know that many of the coaching clients I work with feel the same. Well, perhaps difficult is not the right word. I know how to do it; I just don’t want to eat that much chicken, turkey, tuna, egg whites, and lean beef. My solution has been to add collagen protein to some of my meals. 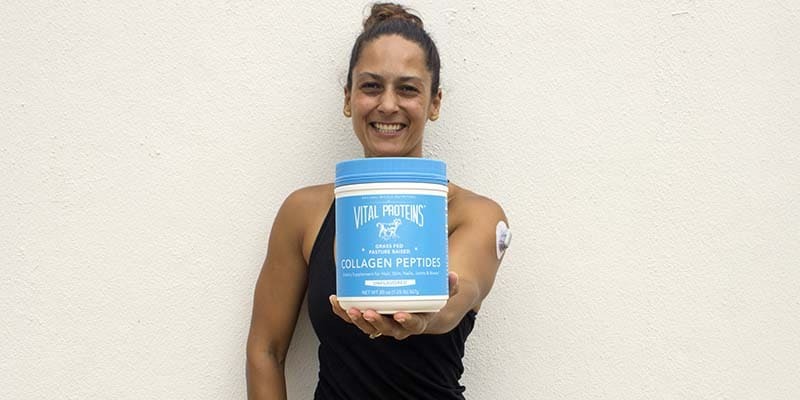 I started using Vital Proteins Collagen Peptides over a year ago, after being introduced to the product during a fitness conference. I love this product for a few reasons. The Vital Proteins Collagen Peptides have very few calories since it’s straight up protein and has no fluff added. There is no flavor, it mixes with ANYTHING, and has ZERO impact on your blood sugar. Yes, you read that right. Zero. Nada. None! One scoop of Vital Proteins Collagen Peptides is 10 grams of pure protein, no carbs, and only 35 calories. Given that protein has approximately 4 calories per gram, it is obviously a very clean product (no the math is not off, it’s approximate numbers). About 30% of the human body’s protein composition is collagen. It’s an insoluble protein made up of amino acids: glycine, proline, hydroxyproline, and arginine, all of which help our body’s connective tissue, skin, hair, nails, and gut stay as healthy as possible. Consuming collagen protein will not only add more quality protein to your diet but can also strengthen hair, skin, and nails, improve your digestion (due to the amino acids in collagen peptides) and boost joint health. 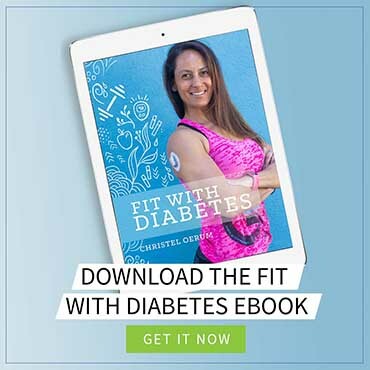 All good additional benefits, especially since they address what a lot of people with diabetes struggle with, such as poor digestion and poor joint health. Collagen supplements are still a relatively new thing so there aren’t many studies on the benefits of collagen. However, a 2015 study demonstrated an increase in muscle mass and strength when combining collagen peptide supplements with strength training in mature men. A few other studies, including a study published in 2017 that showed “improvement of activity-related knee joint discomfort” when subjects were given collagen peptide supplements, indicates that supplementing with collagen peptides could improve joint pain when exercising. 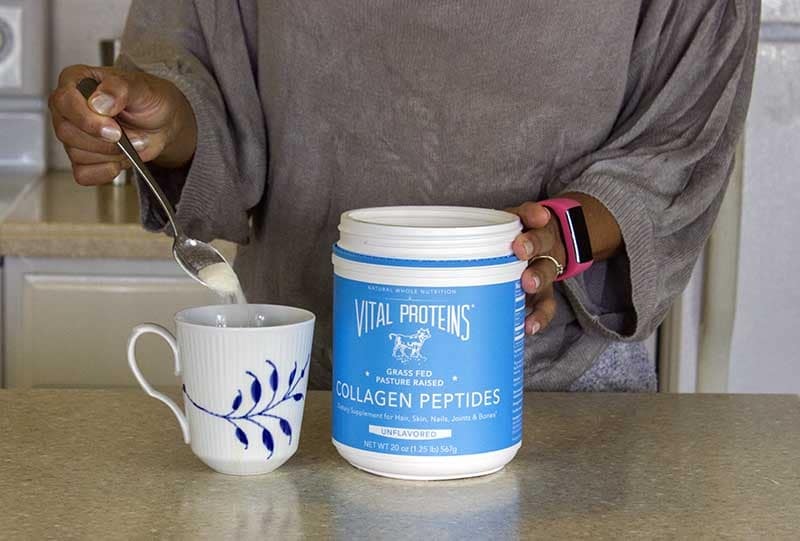 Vital Proteins Collagen Peptides comes in canisters of 20 oz., 10 oz. or 10 g (x20) travel sized packs. The product contains only one ingredient which is bovine hide collagen peptides. Because it has no flavor (and is odorless), I’ll simply add it to whatever I want. Mix it with my Greek yogurt and peanut butter – yum! 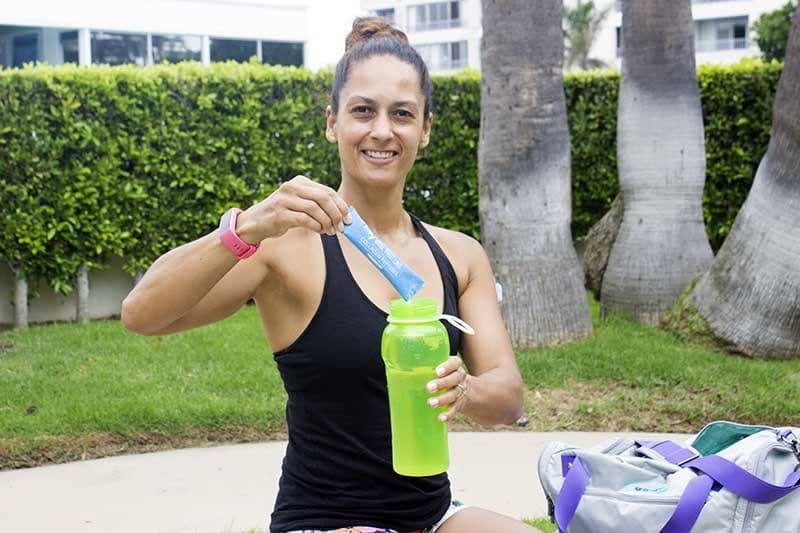 Vital Proteins also offer other collagen products, such as Marine Collagen (for those who don’t want to eat a meat product), Gelatin and flavored collagen peptides. I like the flavored collagens, but some of them do have added carbs from fruit and coconut water. Nothing wrong with that, but it will, of course, affect blood sugars. For a chance to win a goodie bag of Vital Protein products, sign up for the Healthy With Diabetes Challenge where Vital Protein is a sponsor! I have been told that if I can increase the amount of protein close to or equal to the carbs in a meal, it will minimize the impact on my blood sugar from that meal. I love rice, which has a high carb count. Can I add Vital Proteins Collagen Peptides to my rice to balance the card/protein mix in a meal and help reduce the impact to my blood sugar from that serving of rice? It makes sense to me – is that how you understand it? I believe this advice to be more anecdotal than based on facts. Combining protein and carbohydrates can increase the feeling of fullness but should not as such decrease the blood sugar impact (See a study review here if you’re interested in more details). Some studies, on people living with type 2 diabetes, has shown that eating protein and vegetable 15-min before your meal can have a positive impact on your blood sugar. My wife bought me collagen protein powder. Serving size is 2 scoops/20g. How much should I use per day to help control my blood sugar? So, I know everyone is different, but I’ve seen a huge improvement for 9 days straight since starting Vital Protein collagen peptides. I’ve had varied diet and activity, but my blood glucose levels have been “perfect” for about 14-16 hours after drinking this in my coffee. It’s incredible. Obviously, I’m not promising these results to others but my family and I are thrilled about this unexpected bonus of taking these. I started taking these based on my NP’s medical recommendation for something else. We had no idea this might occur. Fingers crossed others may see some benefit. Is there a vegetarian and vegan supplement that you’d recommend?